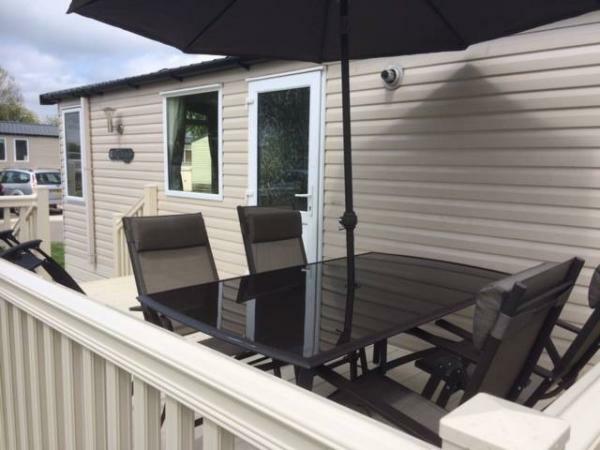 Our caravan is situated on Willow Grove, which is in a prime location for access to the theme park, zoo and swimming pool area, as well as the shop and evening entertainment areas. 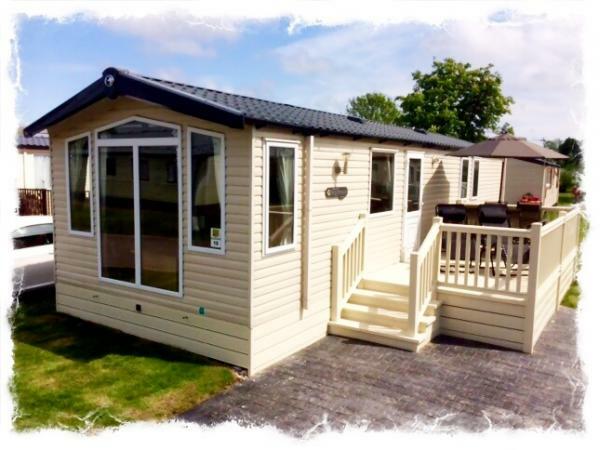 Our caravan is kept to the highest standard to ensure your comfort and happiness during your stay. A Swift Bordeaux Special including 3 bedrooms, 1 large double with en-suite and 2 twin rooms. 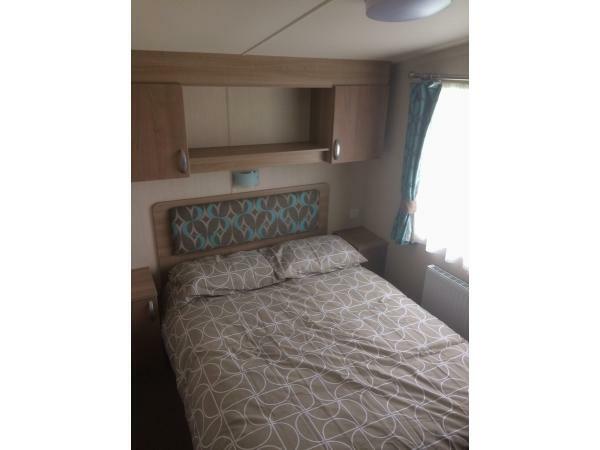 The caravan is fully double glazed with gas central heating throughout. The main bathroom has a walk in power shower, WC and wash basin. 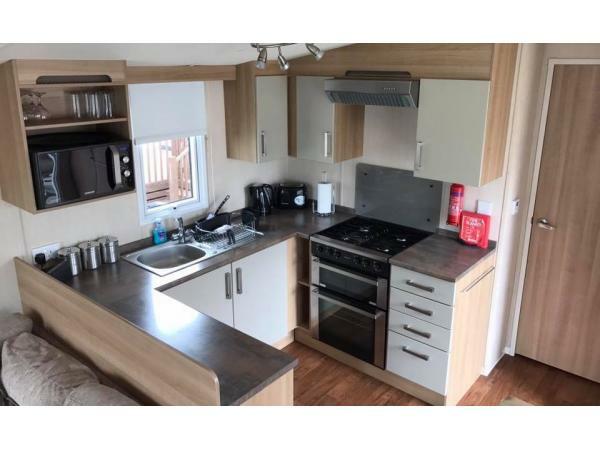 The modern kitchen is equipped with everything you need including a full size gas cooker with oven and grill, an integrated fridge freezer, toaster, sandwich maker, microwave and kettle. In the lounge is a large TV with Freeview, DVD player and DAB radio. There is also a selection of DVD's to keep everyone entertained. The master bedroom has an en-suite toilet, Freeview TV, hair dryer, iron and ironing board. Clean bedding is provided throughout. Towels are not provided. Outside has a new enclosed decking area with garden furniture, sun loungers and parasol. If your looking for the ultimate place to put your feet up and relax after a long day at the theme park, look no further. 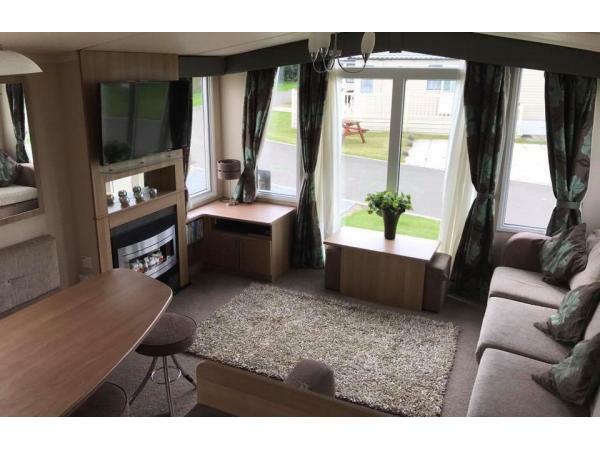 Our caravan will easily accommodate your entire family with room to spare! Terms and conditions apply, please feel free to message us and we will reply as soon as possible... book your 2019 and 2020 holiday NOW! Short breaks also available... Mid-week and Weekends. All access passes must be purchased from Flamingo Land reception upon arrival. 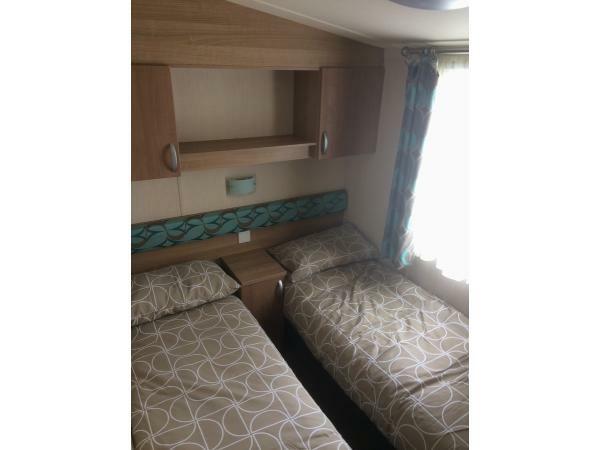 The caravan is fully tested and has all safety equipment including fire extinguisher, carbon monoxide detector, smoke alarm and first aid kit. Please note this is a NO SMOKING and NO PETS caravan.